Even though I ordered a big one for me, this Lace Panel Contrasting Black Shirt still looks okay as what my hubby said…lol. Anyway, I’m wearing the size large and I should have ordered the size small, but I guess it’s okay because I really love the style with this one. 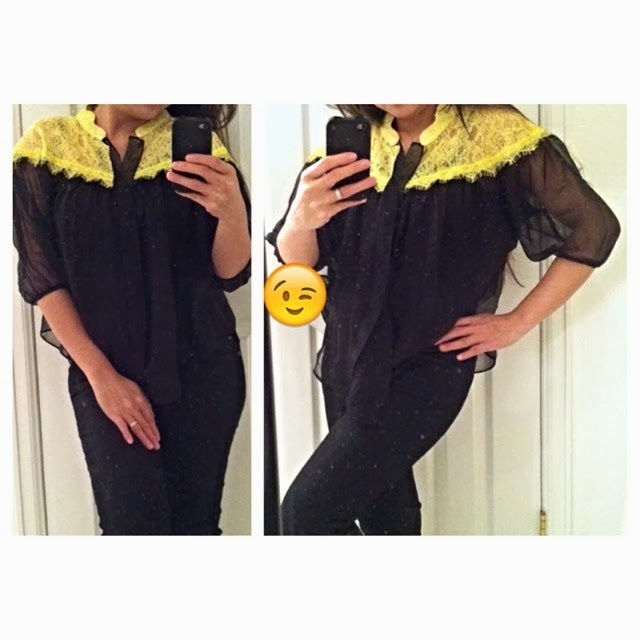 As you can see it has a yellow lace panel around the shoulder, which is a great combination with a black shirt. If you want this kind of cute and stylish top, check out Romwe where the latest fashion is always what you will find.